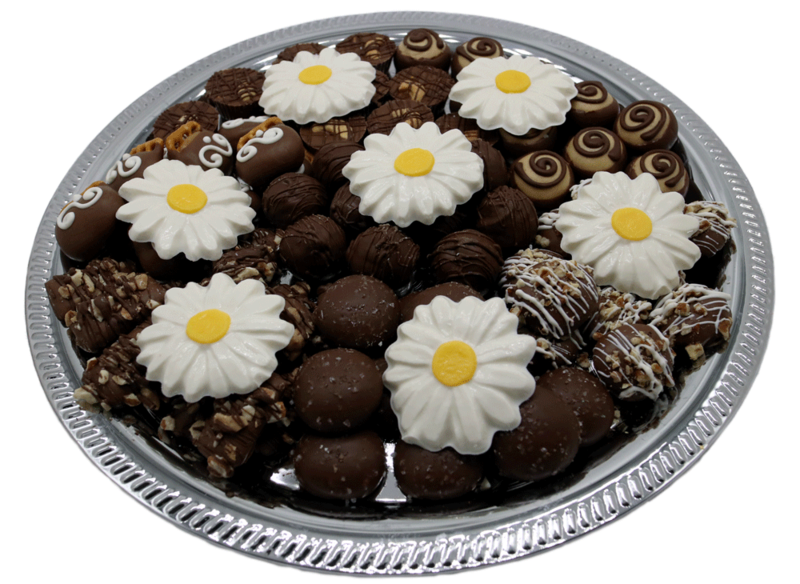 Our bereavement trays come in a variety of sizes with your choice of flower. 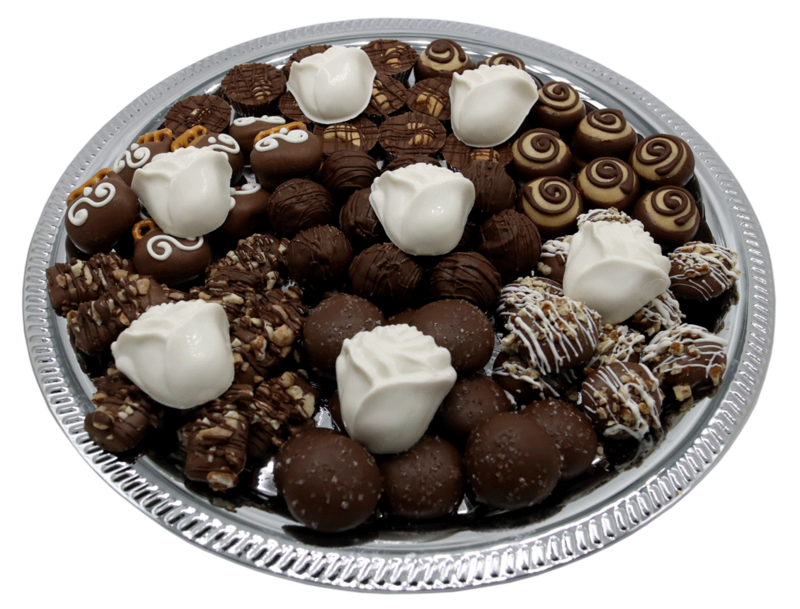 We hand delivery to any address in Genesee County for free. 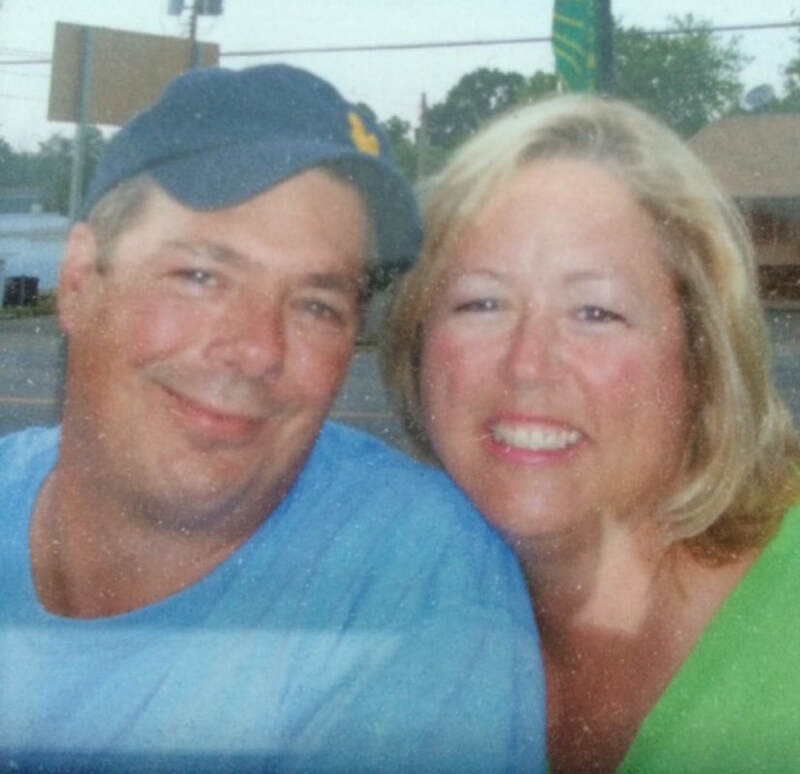 When Michelle’s husband passed away in 2014, her family received so many flowers it became overwhelming. 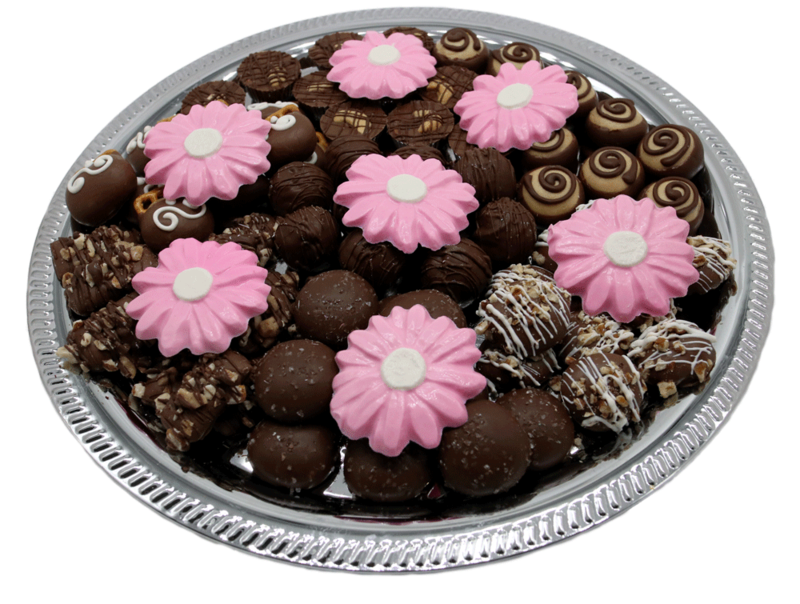 Michelle decided to design beautiful bereavement trays as another option for anyone who has suffered a loss. 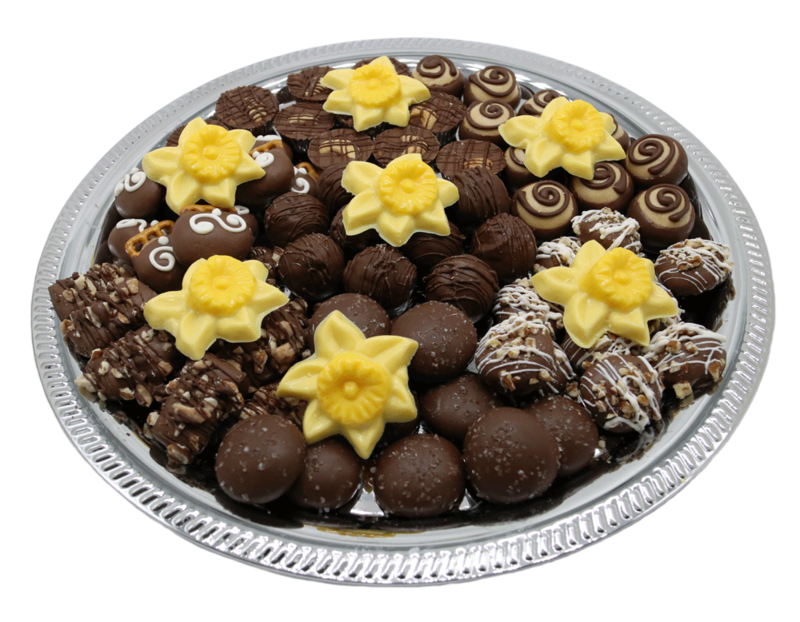 Her hope is that these gourmet chocolates will bring comfort to family and friends. 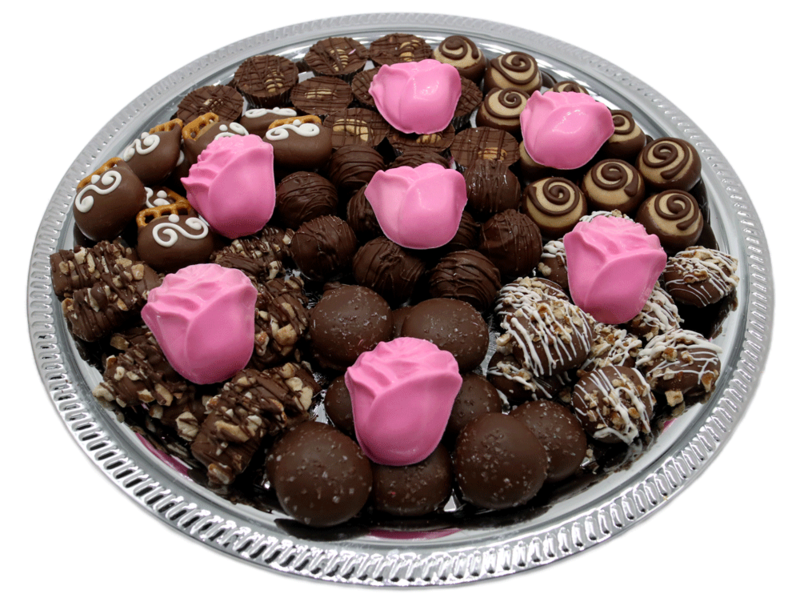 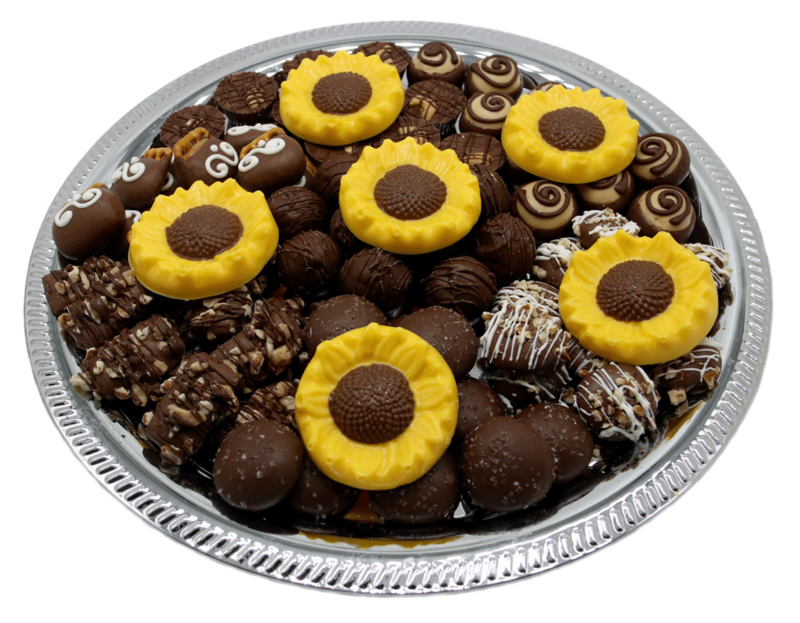 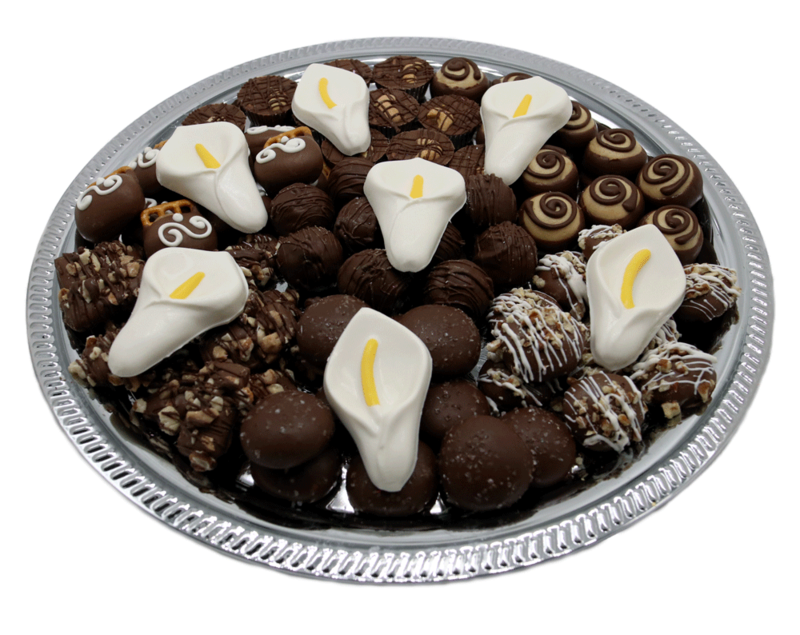 To honor Jim’s memory, all specialty chocolate flowers added to the bereavement trays are complimentary, as well as, delivery to any funeral home or resident in Genesee County. 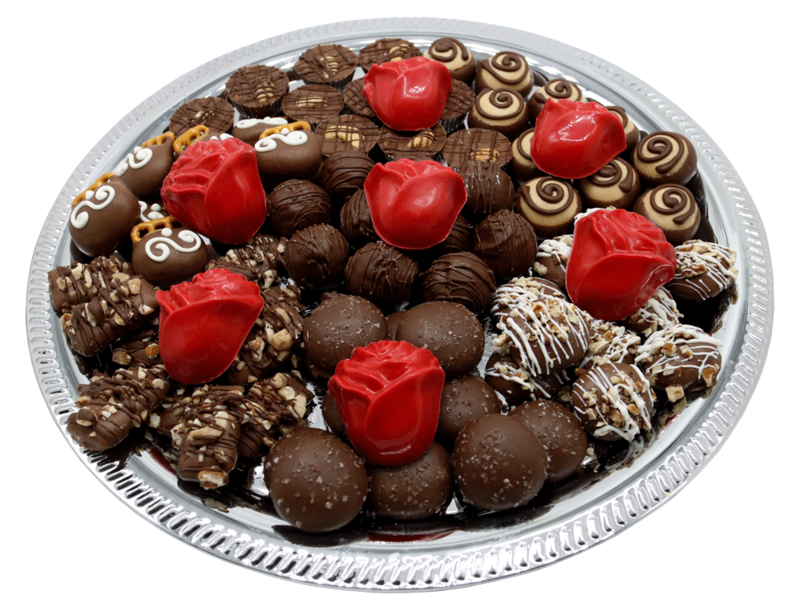 The chocolates will be sealed and wrapped with a beautiful ribbon and personalized tag. 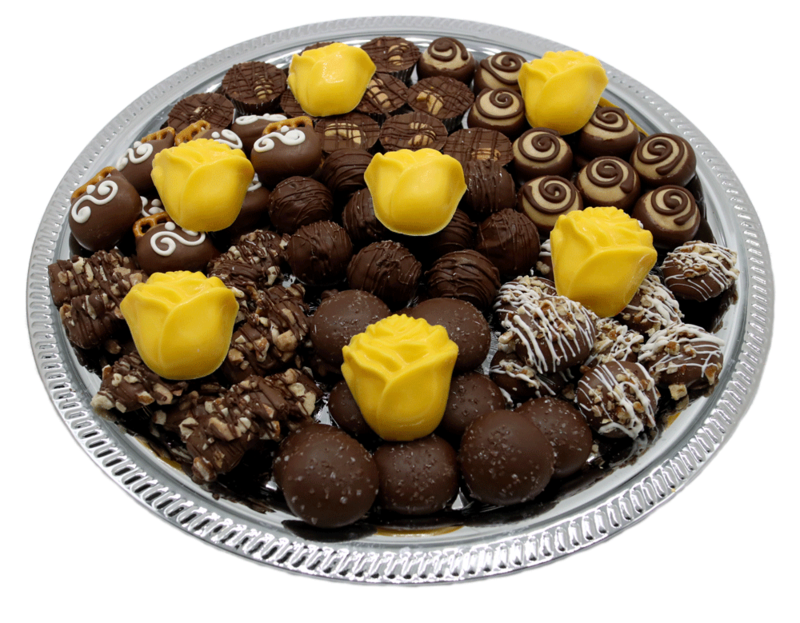 We offer same day service and complimentary delivery provided Monday through Saturday with any order in Genesee County.